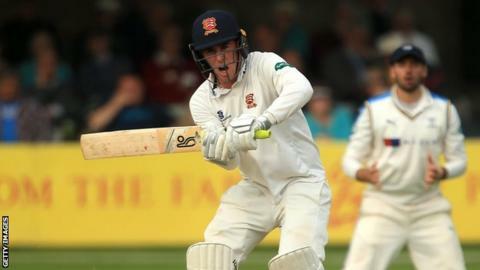 Essex and England Lions batsman Dan Lawrence has signed a new contract with the county champions until 2019. The 20-year-old made 761 runs at an average of 44.76 in first-class cricket during the 2017 season. "For my first taste of Division One cricket, I thought I had a good season and to play a part in winning a first title in 25 years was incredible. "Hopefully 2018 can be just as good, if not better, and I can continue to score loads of runs," he said. Lawrence will be part of a 17-man Lions squad to tour Australia from mid-November until 16 December, playing one three-day game and three T20 matches. Essex all-rounder Paul Walter, 23, and seam bowlers Sam Cook, 20, and Aaron Beard, 19, have also agreed deals for the next two seasons. Batsman Kishen Velani, 23, has left Chelmsford following the expiry of his contract.